Today is my 1999th day of email marketing blogging – the “hello world” posting came out on 1 December 2008. Who would have thought back then that I turned a hobby into profession? Now, a bit more than 1000 postings on emailmarketing.de & emailmarketingtipps.de (and even a > 900 pages book) later, it’s high time to do some shout outs to the “MacGyvers”. I mean to those people who invented my tools of the trade, the content marketers Swiss Army knife. FreeMind is a mind mapping tool. I feel like using it for nearly a decade, now. It’s perfect to structure ideas for blog posts, books, or to build an archive for topics like SEO, email or affiliate marketing. I got maps, which grew up to a few megabytes over the years – they still run rather smoothly. Nothing, no web search or Wiki or anything, gets me more quickly to all the resources that otherwise would be buried somewhere deep in my long-term memory. When Google announced the discontinuation of Google Reader, I got paralyzed from shock. Their clean interface was lovely and it let me browse through all the news in a minimum amount of time – every morning. And after Google quit, I didn’t see any equivalent tool. However, Feedly quickly filled that gap. They listened to the crying crowd and built a tool that even excels Google Reader in many ways – chapeau and big thanks! Likewise, I can’t think of any drawing tool, which lets me build and tune my graphics more efficiently than Inkscape. Once you mastered the initial part of the learning curve, you don’t want to miss all the keyboard short cuts (as in FreeMind) and the fancy editing options anymore. Inkscape is no replacement for JPEG-/GIF-tools editors like Gimp, but it’s n1 for pimping charts, infographics, slides and other vector images. For example, I edited most of these infographics and many more with Inkscape. Speaking of graphics: Inkscape isn’t really good for building flow charts, tree structures, networks and so on. That’s where yEd comes into play. yEd is a bit like draw.io, but faster and more powerful, especially with its automatic layouting options. As a blogger, you often got to decorate your postings with screenshots. To be honest, I don’t really know what capturing tool I like most: FastStone (it’s resident and always there), Fireshot (email shots in Thunderbird), or LICEcap (record GIFs). But I feel that I used FastStone most often. RapidMiner was the first tool I got to know, which easily turned massive data into useful information for marketing people like me. (And I don’t say that just because Ingo, the RapidMiner CEO, and I went to school together from the age of 6 to 19.) RapidMiner has an intuitive GUI (“drag and drop”); doing statistical analyses, text mining, machine learning and data exploration couldn’t be easier. 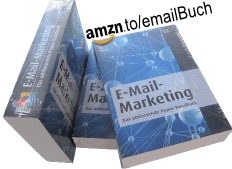 Therefore, several data mining posts on emailmarketing.de are based RapidMiner. Later on, when I wanted to dig deeper data-wise, I became interested in R. Today, many think of R as the standard computer language for statistical analysis. It has a VERY steep and long learning curve. However, although I’m just scraping the surface, I’d say it’s worth it. R’s graphical and analytical capabilities are exceptional. Reshape, subset, clean and sort your data in any way you want with just a few commands. RapidMiner (as well as e.g. Tableau and Excel) integrate seamlessly with R, so you can have the best of all those worlds. BTW: This, this, this and that posting give you an idea of what R code and output look like, as does this tweet and this list of email experts on Twitter. Mondrian is a light weight interactive tool for exploring relationships within data sets. The fancy thing is: all plots, which you open by selecting some variables and the type of graph you want, are linked to each other. Linking means that if you select points or bars in one plot, their values are also highlighted in the other plots. This works also with brushing: Here, I painted the type of word at the beginning of subject lines with different colors, and you can easily explore how they distribute over the open rate histogram on the right. If you need to deal with comma separated value (CSV) files and you don’t want to mess around with R, then try CSVed from S. Francke. One good thing about it is that it only loads parts of the CSV file on demand. This let’s CSVed also handle big files quite easily. Use CSVed e.g. to deduplicate and sort your email lists. This entry was posted in english and tagged Tools. Bookmark the permalink.